Seekerville: The Journey Continues: Support Authors. . .
For those that don't know, I'm no author, and have no desire to be one. However, I have this crazy obsession and innate fangirl persona when it comes to authors. 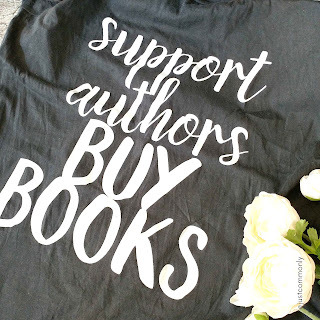 Ever since stumbling across the bookish community a few years ago, I've been in awe by how awesome authors and publishers are, and how HARD it is for them. Granted, I still don't know the whole inside story, but from what I do know, there are a lot of obstacles when it comes to not only writing and publishing a book but also marketing it. Long story short, I'm an advocate for authors and publishers, and I'd like to share with you a particular way we can support them. Buying books can be simple, but it’s recently become more tricky! Why? Counterfeit books. Combine the two? You have counterfeit books, similar to the ever-increasing problem of counterfeit textbooks. To be honest, I’m not even sure we really know how big this problem is. Personally, I received a gift of a previously released novel purchased through Amazon on sale. My friend had it shipped directly to me. When I received it, it looked a little off. Granted, I understand some publishers have different style, paper quality and such, including using Amazon’s or another large retailer’s Print On Demand services for subsequent print runs, but typically the quality of these print runs should not be too off from their original. Since I know this publisher and its quality, I was even more certain it was not an original published copy. To top it off, the cover was obviously subpar in terms of the image quality. I then reached out to the publisher and sent them the copy so they are aware of it. Doing a bit of research since, this happens more often than we realized, and it’s not always easy to spot. Can you spot the counterfeit version between these two copies of The Wedding Dress? I’ll let you know which one is the counterfeit one in a bit. After that incident, I decided to look closer at my past purchases. Even though I am 100% sure most are legit, there are a few older titles (released in the past 2 years) I purchased that did not look or feel like the same quality as others from the same publisher. Again, I’m no expert, but merely from my experience as an avid reader and patron of bookstores, both online and in stores, there were noticeable differences. Research tells me that most of these counterfeit books were purchased from Amazon. Since Amazon’s fulfillment service allows Amazon to sell and ship on your behalf, one will not necessarily know where the book came from. Now, I’m not saying all of Amazon’s books are questionable, just that if you do order from Amazon, inspect immediately. If you are familiar with a publisher’s printing quality/style, compare it. 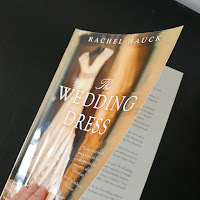 Is the book cover glossy when others are matte? Does the spine line up properly? Is the overall size the same as their standard paperback or hardback editions? How’s the quality of the cover image? Is it blurrier than it should be, even compared to an image you find on the publisher’s website? How is the type quality? Is it fuzzy on some pages or on the back cover? Most notable sign is that it is on sale for much lower than you’ll find on other retailers (and it did not state “price set by publisher”). It’s usually more than $2 difference. Publisher sales typically run across the board. Why am I pointing all this out? I’m sharing with you my experience with counterfeit books because as consumers, we should be aware of what is out there, and be smart about our purchases. Counterfeit books not only are pirated works, but the sellers are profiting from it, taking what could’ve been additional sales for the author and publisher for themselves. It’s not only morally and ethically wrong, illegal, while damaging the image of the publisher due to its poor quality, but it also basically is stealing from those working in the publishing industry. Back to the pictures I showed before, of the two versions of The Wedding Dress. Which one did you choose? If you chose the one on the left with the glossy cover, you are correct. That is the counterfeit copy. The main issue is how the cover image looked to be spliced together with the letterings. You can reach out to the vendor to exchange it, explaining that you don’t think this is right. Mention the quality. By reaching out, the vendor will now be aware that something is wrong here and the supplier may be banned or removed from future orders. Reach out to the publisher to let them know of your suspicions. Send photos or even the copy of the book. Report counterfeit or pirated goods to the FBI Intellectual Copyright Infringement department. You can find out more info here: https://www.stopfakes.gov/article?id=Report-Counterfeit-or-Pirated-Goods. It’s a scary world out there, and there will always be people trying to take advantage. I’m not trying to discourage you to buy, but rather I encourage you to buy from local bookstores or retailers that you feel secure with. I still am an Amazon consumer with many things, including ebooks and new releases of hardcover books. However, when it comes to paperbacks, lately I’ve mainly purchased from local bookstores, Barnes and Nobles and ChristianBook.com. Plus, I truly believe that giving this feedback to publishers and helping to stop counterfeit sales, even if it’s one book at a time, is another way to support authors and publishers. Happy Friday! Welcome to today's post and enjoy the morning cup of coffee and be ready for a fabulous weekend! WOW, Annie, I knew ebook piracy was killing authors and publishers...but I wasn't aware that counterfeit hardcopy books were flooding the market, too. With so many authors struggling to keep sales up with their publisher so they can continue to get contracts, and publishers struggling to make ends meet and many going under, this is indeed very scary for the future of authors and the book industry as a whole. Thank you for bringing this to everyone's attention and sharing steps to take when you believe you've identified a counterfeit. While Amazon is a great place to buy books, their policy of allowing third parties to sell through them really opened the door to this type of theft. I totally agree. And thr scary thing is these counterfeits can look so normal! Annie! Thank you for this post. It's true across so many industries that cheap copies are nudging into the marketplace in so many ways. Pretend Legos from other countries, re-made videos from other countries or local counterfeiters, stolen music and counterfeit books. It's a thing that affects all of us and when you walk down the streets of Manhattan, you can find a whole lot of re-manufactured things.... that look like the real thing. Stealing is stealing, and while I love a bargain, I don't want to steal so this article is crazy helpful. Thank you for your support of authors and Christian Fiction! That's right, Ruth. I am still steaming from my last trip to the city and what I THOUGHT was a Rolodex watch. Sheesh. Yes! Having grown up in New York and seeing the the notorious Canal Street at work have opened my eyes to how many things people can "take"! Even though it has cracked down much, there are still people going up to you and asking, " I have a deal for you. Do you want a watch, bag, movie..."
Thank you, Laura. I can't even get my KNOCKOFFS right. Sigh. Oh.My.Fairy.Godmother...One more thing to think about. I doubt if anyone would ever want to pirate me, but You Never Know. Scary world, guys. Back from Boston early, neither of us felt well, and trying to Retrench. I should live so long. Unfortunately, with my genetic makeup, I probably will. Oh my stars, you're so funny! Sorry you're feeling poorly, Kaybee!!!! Lol! Well said. We do have quite the reading habit, don't we?! Hehe. Thanks for the heads up in this article. It is good to be vigilant. Very unfortunate, though, that there is so much dishonesty. So true! I wish it wasn't the case. Annie, thanks for pointing this out!! I had no idea that happens with print books!! I'm really glad you're opening our eyes to this. I can't believe people are going to such efforts to steal as to actually print books! You know Missy, I didn't either, but with print on demand, there are probably ways to do this kind of thing cheaply.... Although the machines aren't cheap and it can't be easy, but isn't that a rook deal? You're welcome. I was pretty shocked at first too! Wow! I hadn't even thought of this, but I suppose if there are counterfeit DVDs there are counterfeit books. I don't think I've ever received, but will keep an eye out. And the practical steps to take are very helpful! Thanks Katherine! We booklovers sure need to be vigilant. This is so eye opening! I've always tried to buy a book right from the store and after reading this I definitely will as much as I can! Thanks Abby. I'm with you. I try to buy books in the stores as well, but sometimes it's just so easy to click and buy online. Annie, thank you for this enlightening post. Honestly, I'm rather stunned. Just goes to show us that there's always someone out there willing to make a buck a someone else's expense. Sigh. Right? It's disheartening to see what people will do. We can pray for them and for this situation. Hopefully it will not escalate as more and more consumers are vigilant in stopping it. Wow. I knew about the e-book problem, but I had no idea it was happening with print books. Thank you, Annie! Wow! I never even thought of physical books being counterfeit! I have read about ebooks piracy. That is just crazy! I am now curious about my load of books. I will have to go look at them and see. Thanks for this information! YOu're welcome Joy! I checked about 100 of my books, and just a few, more recent purchases that were questionable. Oh, my goodness! It never entered my mind that print copies were being counterfeited. Ugh! Thanks for the insightful post, because occasionally I do buy used or discounted books (like from Ollie's) AFTER I have purchased and donated the first copy that I bought to my church library. YOu are truly awesome Rebecca. I love a good sale too, and that's why it was so unsuspecting! Thank you so much for the heads-up on this issue! I am an avid reader and was not aware of the problem. From this point forward I will carefully examine all my books. I usually order from Amazon or ChristianBookscom, so I would think those purchases would be legit. Trust me, Cathy. Me too! However, like Ruthy said in a previous post, it's easier and easier for people to print "knockoffs" with the Print on Demand option, not to mention online printing shops. Thank you for enlightening us Annie about this issue. As readers we need to support authors and making wise choices about our book purchases. I was aware of e-books being pirated but had no idea that paper copies were. Thank you for opening my eyes to this problem. You wrote a terrific article! Thank you, Perrianne! Hopefully with more and more people aware of this issue, it will combat the insurgence of dishonest people trying to make a buck off of books. Hi Annie. How interesting! I did not know most of this. And may I point out, once we buy a book, another way to support that fabulous author is to write a review! Most definitely Cindy. We're getting there! Actually Beth wrote a fabulous article on Seekerville last month on the review aspect of supporting authors. Wow, I never thought about counterfeit paperbacks; e-books, yes, and definitely DVDs and CDs. But paperbacks! It's good to know that if Amazon does have a price for new books that's seems too good to be true, then it probably is. I loved Amazon in college--where else can you find such cheap textbooks and obscure required readings?--but with the various other things they put authors through, they have been continually lowering themselves in my estimation. I agree too, but Amazon is a HUGE market for authors too for sales. So it's a bit of a conundrum, don't you think? I was not aware of this ....live in country and guess I am sheltered! LOL However, was in a big box store yesterday and saw two "planted" guys chase a young teen who had stolen something! What a shame! Thanks for your giveaway pack of books! Annie, thank you for shedding some light on this important topic! Well done! I will definitely look more closely at all my future purchases. Wow. Thanks for the eye-opening post. I’ve heard of ebook piracy but didn’t realize it extended to paperbacks. This makes me want to get out all my books and look them over. I would have never thought of this. I did, however, run across this with a third-party seller on Amazon. I was looking for an old book from an author in new condition and asked for a picture. I didn't think it looked new so I sent the picture to the author and she said it did not look like her copies. Thank you for the information. O WOW! Yea. I am so skeptical of third party sellers after receiving a very worn book sold as new and never heard back. Great call in checking in with the author. Never realized this about print books. Thanks for the heads up! thanks for an informative and important post, Annie!! as mentioned above, it happens across the board - but so sad that people stoop so low! I agree, Robin. Thank you! I had no idea. As a book buyer for the church library, I will know what to look for from now on. If I win, the books will be going to the church library. Great! Thank you Janet and good luck! I had no idea that paperbacks were being faked! I knew ebooks were being pirated but had no idea about paperbacks. I know now to keep my eyes open. Great! That's the hope, to let people know and be aware. Thanks! Oh man, I didn't realize physical copies of books were being ripped off so much! This is so disheartening for authors and publishers, and definitely something I will keep in mind when purchasing books. Thank you for the informative post Annie, and for letting us know what to look for. No problem. Thank you Laura! About counterfeits: There was a time in the later Roman Empire when low denomination copper coins were being widely counterfeited. The coins cost so much to make the Romans let the counterfeiters get away with it. The economy needed the coins and the government was getting them for free. Then in the middle ages a great counterfeiter made rare ancient coins of great beauty. He made them better than the originals and today his counterfeits are worth more than the ancient originals. Economics plays a hand in the counterfeiting equation. I'm not sure there is a great problem with counterfeit paperbacks. Could you really make any money selling Love Inspired romances for less than $5.99? I'm not sure you could even produce a copy without printing thousands at a time like Harlequin does. The super big danger is ebooks -- especially pdf copies of $150 college text books that should sell for $30 at most. Even more so is when these counterfeit books are just given away free. Economics might not even come into play here. Write books with super stand up and cheer endings that sell you next book. It would be nice if each counterfeit book sold two or three of your other books. Be like the Romans and actually make money from the work of the counterfeiters! Write great books! Also a help to authors is to write good reviews pointing out who will best like a given story and what you liked best about it. I also like to talk up authors I like when I see anyone reading a book in a waiting room or on the beach. Word of mouth is the great equalizer. I've even given a book away to another reader who shows genuine interest in a book. "Here take this book. I know you'll love it. I'll just read the rest of the book on my Kindle." And yes, thanks for the great post in a wonderful cause. Hi Vince! O that is such cool info. Thank you! And I was surprised too about print books. Who would've thought about paperbacks? I think that's also why so many publishers are going with mass paperbacks because it's cheaper to produce and the cost so low, it would be hard to make a profit out of it. Don't you think? Yet with trade paperbacks that costs about $15 retail, and sell it for $5 sale of a counterfeit.. I wonder what the profit margin is? I guess counterfeiters are banking on the quantity of sales to increase the profit. Either way, so surprising and not great for authors and publishers. Hoping with more book consumers aware, the problem will not increase. I think it is awesome the support your website offers to authors. I am an inspiring author and love entering giveaways. Thanks so much for the chance to win. Annie, thank you for your support! This post was so needed! I'm grateful. Stealing property is always wrong. Always! So smart of you to return the book to the publisher. Thank you! 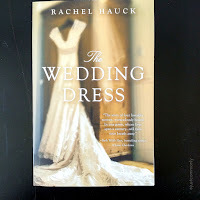 I'm sure Rachel Hauck is thankful as well. Awee. You're very welcome, Debby. Thanks for this great reminder that stealing is wrong! Period! You're welcome Connie. Exactly with the stealing is wrong! Very interesting article. I had no idea this was actually happening to paperback books. I will definitely be more aware of what and where I am buying books! Thanks. That's all we can hope for - people to be nore aware. Thank you. Good read. I have never heard of counterfeit books. I didn't know there was such a thing! Hope with this article that people's eye will be opened and will keep an eye out for this fraud. We hope so too. Thank you! A couple of years ago, I purchased a used copy of a book. It was out of print and had been highly recommended--and when it arrived, it was an ARC! The old-fashioned way to steal. It made me so angry, and I wasn't sure where to turn. I registered my disgust with the sellers, knowing that they did not necessarily commit an original theft. They could have bought a random box of books at a garage sale. They should have destroyed a book clearly marked "not for sale." Grrrrr. I buy as much as I can afford when it comes to new books. Library and used books stores is how I read almost all books. I 'm a reader not a writer. Very informative post! I'll keep this in mind going forward when I want to buy books from my favorite authors. I like that T-shirt, too. Yes, support authors. Buy books. I love to read. I am a writer and will be having my first children's book published soon. Very exciting times! Thanks for highlighting a very important subject. Thanks for making us aware of this. I hadn't even thought of the possibility that some of the books I buy could be counterfeit. It's good to know what to do if that happens. Thanks, Annie! I'm sure this is a bigger problem than we can even imagine. It's a sad commentary on today's society.